The cheerful gerbera daisy grows naturally in a vibrant rainbow of colours. Lovely pinks, sunny yellows and bright oranges are just a few of the gorgeous colours that these happy flowers boast. The traditional meaning for this flower is innocence and beauty, but it also has an additional meaning – cheerfulness. For this collection the embroidery designs have been inspired by original artwork from Tracey Sims, and have come together as a delightful array of twelve floral and ornamental designs, including an applique bloom that can be used flat or as a stunning dimensional arrangement. 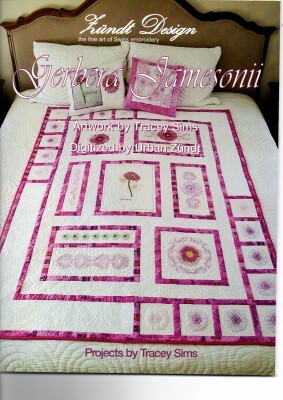 This collection includes full colour pictures and written instructions to make a beautiful cushion A beautiful full colour book also comes with the Cd including step by step photographic and written instructions for the quilt, cushions and a table cloth and napkins. For this collection the embroidery designs have been inspired by original artwork from Tracey Sims, and have come together as a delightful array of twelve floral and ornamental designs. 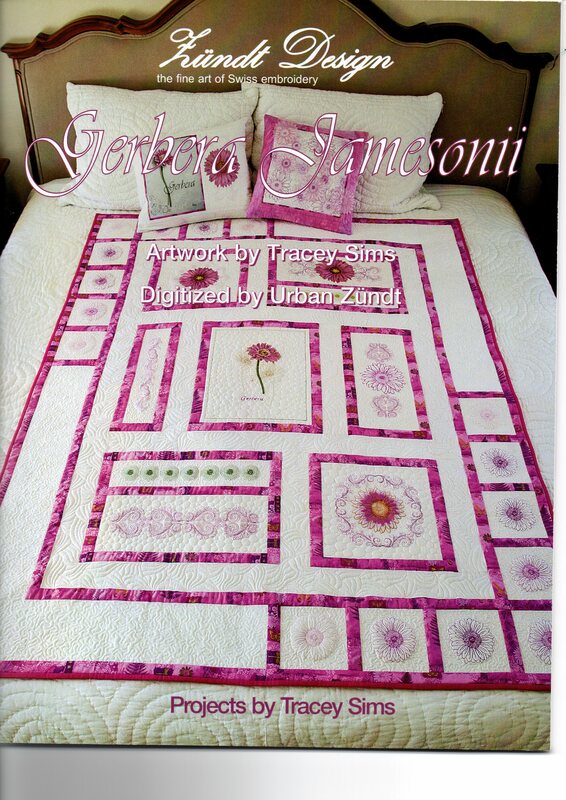 A beautiful full colour book also comes with the Cd including step by step photographic and written instructions for the quilt, cushions and a table cloth and napkins.